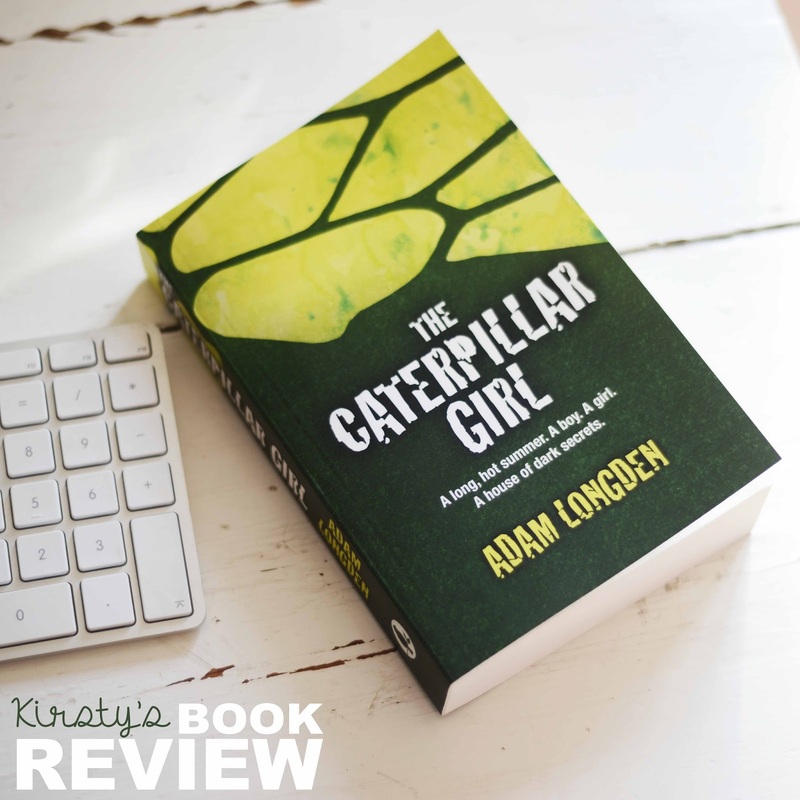 The Caterpillar Girl is the debut novel from Adam Longden and it is pretty darn good for a debut. If you're looking for a book that contains romance, mystery, family problems and thriller elements, then I guarantee that you will enjoy this book. The long, hot summer of 1989. A teenage boy and girls' paths cross purely by chance. But Jack is no ordinary boy - brought up in isolation and hidden from the world till the age of sixteen; a dirty secret, his father's cross to bear. Music mad Daisy sees it as her duty to introduce Jack to the real world - and a lot more along the way - a task easier said than done with Jack's numerous phobias and fears. But as the summer goes on and on and the temperature rises, so does the body count, as together they search for the truth of Jack's real identity. It took me a while to get into this book. It's a 493-page-novel and the first 100-150 of those were slow. During those pages, Longden was laying the foundations of Jack's character and his home life but it was slow. I always find the right way of introducing the setting and characters without making it seem tedious is to have action take place at the same time, but in The Caterpillar Girl, the only action during the first 150 pages was Jack meeting Daisy and getting to know her. However, moaning aside, I found the characters of Jack and his family to be very interesting and three-dimensional. It took time for Daisy's character to become a well-rounded character but I slowly started to love her as the book progressed. The prologue set the dynamic of The Caterpillar Girl perfectly. It shrouded the book in mystery and even though some parts of the novel were predictable, the book was thrilling. The best part of the book was definitely the last 200 pages. This is where all of the action took place and where we watched all of the secrets unfurl. The last part of the book was so tense and I couldn't get to the end fast enough so that I could find out what happens and figure out Jack's identity once and for all. There has to be a sequel… There has to! The ending made me want to cry and it was so ambiguous that I just need to find out what happens next. I could write for ages about the ending but… SPOILERS! So you'll just have to trust me when I say that the ending broke my heart. The Caterpillar Girl is an enjoyable book that portrays the horrors of a dysfunctional family, it shows how a boy - seeing the world for the first time - falls in love with a girl who couldn't love the world any more. If you're going to read this book at all, read it for the last 200 pages. I promise you, you won't regret it. You can buy The Caterpillar Girl by Adam Longden on Amazon here. Disclaimer: This book was sent to me by the Daily Focal's Editor for an honest review. Have you read a book that was worth reading for the amazing ending?